We were delighted to be shortlisted for an award for the luxury villa we completed last Summer for the prestigious International Design and Architecture Awards 2018. This project involved the complete overhaul to all the architectural elements of a traditional Portuguese villa with the introduction of new clean sleek lines, natural stone cladding & oversized tall windows creating a beautiful back drop to the fresh white interior design scheme. Having bought a villa in the Algarve as a second home, the brief was to create a contemporary family home for them to make summer memories. The client was clear that the villa should be predominantly white with pops of colour and hints of luxury; however, family life is the centre of this home and white must also be practical! Areas inside and out had to be able to comfortably seat the whole family and friends – this was key. design et al are delighted to announce that Stephenson Wright have been shortlisted for Luxury Residence – Europe Award within The International Design and Architecture Awards 2018. Our brief was to create a tranquil and serene home from home for this energetic family to entertain guests in an environment rivalling their favourite luxury destination hotels. 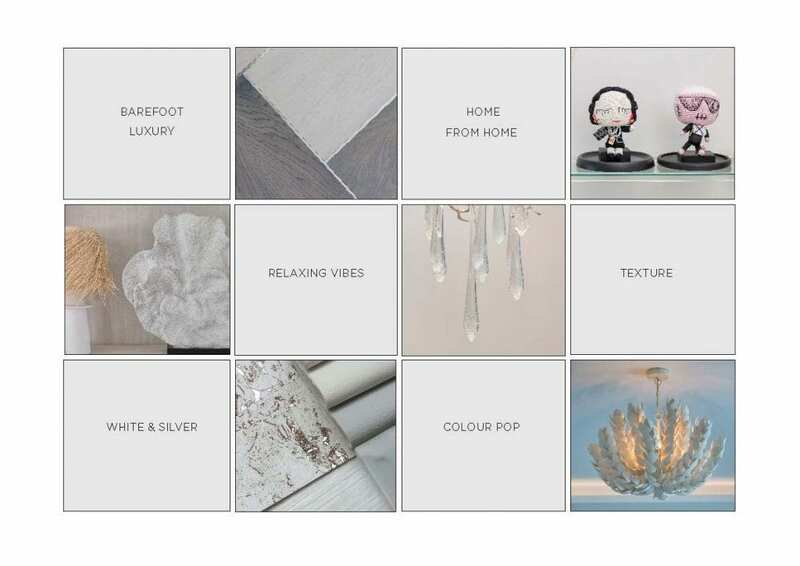 The colour palette evolved from ‘stark white’ to neutral tones of off white and soft silvers, alongside natural textures and injections of colour within the artwork and accessories. Vistas through doors and windows were important and the client wanted to be able to see feature lighting from the moment she approached the house outside. This followed through into the living areas and through each opening one sees an interesting light or art piece. We were delighted to collaborate with the talented architect Jutta Hoehn and her team, as well as the top end reliable team of contractors; this was key to this projects swift and successful turnaround. The team took on board instructions and made them a reality and the resulting architecture/interior architecture/interior design synergy was made. The focus on family living was key for the ground floor open plan areas with a large over-scaled deeply comfortable sofa and the introduction of soft textural elements. The hand-made coconut shell pendant light created a hanging sculpture at the heart of the main living space alongside the custom designed furniture in tonal timbers and a playful array of inviting cushions and textural accessories. Whilst much of the interior is white as per the brief, we encouraged the client to introduce texture in fabrics and wallpaper into the interior which was a huge success and makes such a difference. We designed furniture in tonal timbers and metals rather than white furniture and by including these we were able to bring warmth and subtle tones into the home. This is most noticeable in the living room and master bedroom. The serene view to the updated pool area was the only invitation you need to join the bliss of the outdoor world sitting at the core of villa life; with colourful prints on the cushions combined with beautiful Belgian upholstered outdoor furniture and sculptural lighting, the outdoor space really does take on its own personality both day and night.